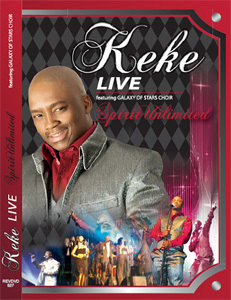 September 2011 DVD release from Keke - Spirit Unlimited featuring the Galaxy of Stars Choir. A dynamic new release from a great Gospel giant. Recorded in Soweto in June 2011. Lots of promotions and marketing behind this awesome release.